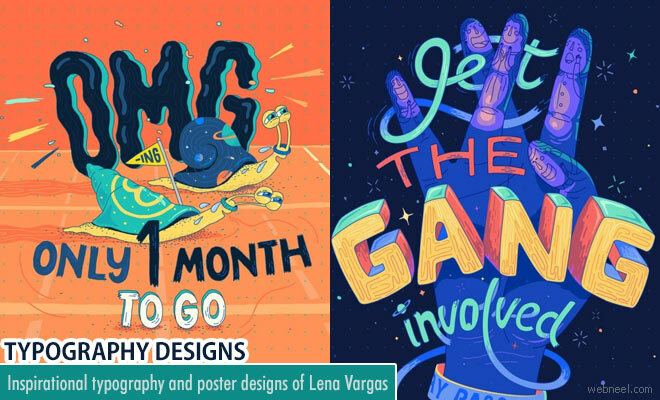 Typographic designs of Lena Vargas created for the ING Creatives Festival has brought awesome responses from the visitors. The festival used 2 of the illustrations as a front and back cover of the booklet and many people got to see them. Lena feels that many of the typographic designs are guided by instinct and fun which stopped overthinking on what to create. Lena has done 10 graphics for the event and as she says she had complete liberty on designing each of them. Nature, dreams and stars has driven her in all her creations. ING Creatives Festival Unlocks the creative potentials through talks, workshops, exhibitions and portfolio reviews. Here are the typographic designs of Lena Vargas presented in ING Creatives Festival.